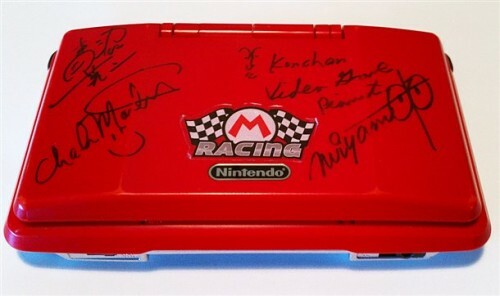 To help with the recent tragic events in Japan, a special Nintendo DS autographed by four big industry names from Nintendo is up for bid on eBay. Every little bit counts in the face of a horrible tragedy. Every tiny cent and dollar, every minute charitable resource and donation can make a heck of a huge difference whenever a life-altering disaster takes place – e.g. 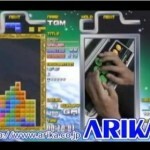 the recent 9.0 magnitude earthquake and tsunami that has seriously impacted Japan. The out pour of generous gestures from the gaming community at large to help out with the Japanese disaster relief effort has been overwhelming so far, and continues still with online fundraisers and special auctions of unique gaming-related items, specifically one extremely rare Nintendo DS up for grabs on eBay. How rare of a Nintendo handheld is it? 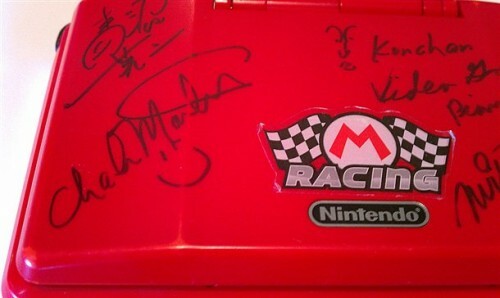 Not only is it a rare red-colored Mario Kart Nintendo DS (a first generation model, often called a DS phat) it also has signatures from four immensely influential Nintendo figures: the creator of Mario, Shigeru Miyamoto, legendary video game composer Koji Kondo, Legend of Zelda series head developer Eiji Aonuma, and the voice of Mario Charles “Hey it’s a me!” Martinet. The rare gaming collectable is also autographed by awesome pianist Martin Leung, who performs with Video Games Live and is quite famous on the “Internets” for playing the theme to Super Mario Bros. blindfolded. 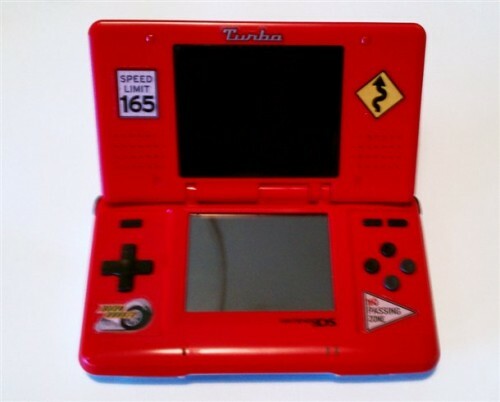 All signatures on the handheld are legit (with the possibility of being too legit to quit,) with each autograph authenticated by photographic proof of every individual inscribing their name on the Nintendo DS. I’m pretty sure by now the auction for this baby is well and over ( last time I checked, the current big was around $2,550,) but that doesn’t mean you can’t help too by going over to the Redcross.org and donate something there. For the gaming industry, Japan means a lot to us – seeing as how we wouldn’t have Pokemon Black/White or the Nintendo 3DS without them. So please give back if you can!